Totalcontent | a slice of Pizza Pilgrims action. Home » blog » a slice of Pizza Pilgrims action. 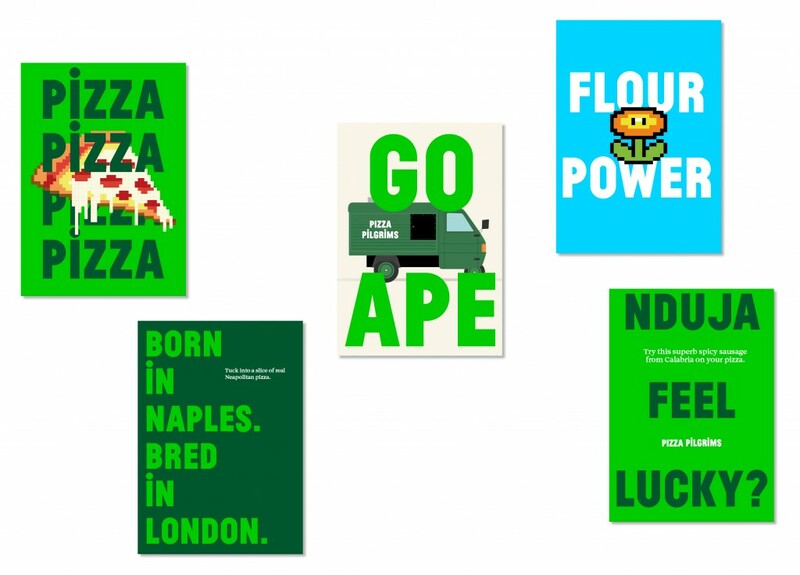 We melted with pleasure at the prospect of helping out super-talented Rick Banks (aka Face37), on the recent Pizza Pilgrims rebrand. Pizza Pilgrims have a great story to tell and cook up excellent pizza, so the bar was set high from the start. Fortunately, there was plenty for us to get our teeth into, from their love of movies and computer games, to their utter devotion to creating authentic Neapolitan pizza. We were asked for a series of lines to appear on posters, menus and various bits and pieces. Hopefully, we came up with a few tasty ones.